There is a big effort going on at the moment in the UK to get schools to install solar photovoltaic (PV) panels. Campaign group 10:10 has been running a successful project called Solar Schools. 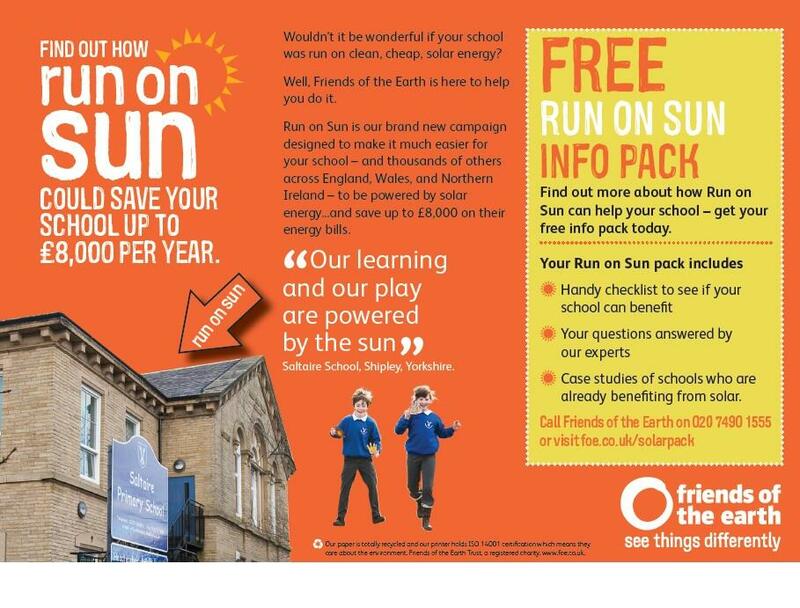 Friends of the Earth recently launched its “Run on Sun” campaign, aimed at making it easier for schools to do this.